This quiz is designed to assess your basic knowledge in ‘Pesticides an Biofertilizers’.Choose the best answer from the four options given. When you've finished answering as many of the questions as you can, scroll down to the bottom of the page and check your answers by clicking 'Score'. Percentage score will be displayed along with right answers. 3. Which aquatic fern is used to increase the yield in paddy crop? 5. 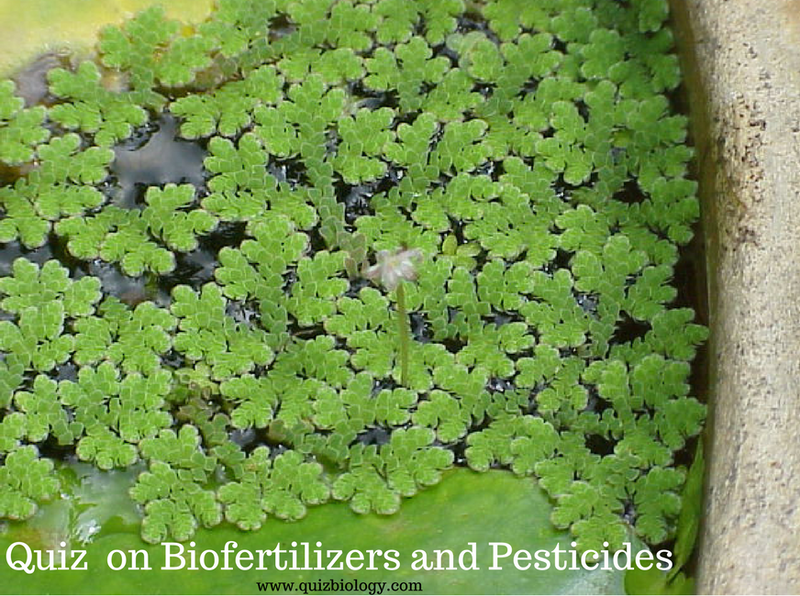 Which of the following is the pair of biofertilizers? 6. Which of the following pesticides is an acetylcholinesterase inhibitor? 8. What is agent orange?